One of the best parts of learning new places is meeting new people. 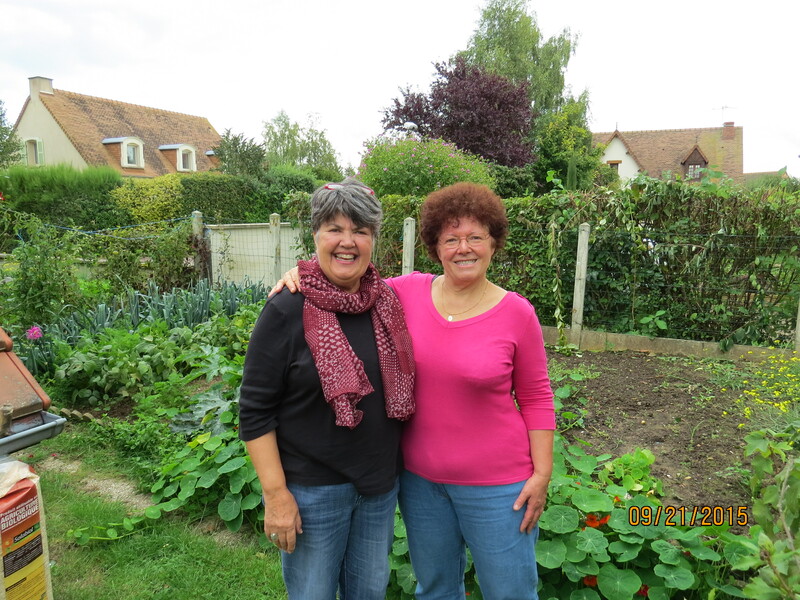 I mentioned in my last post that Francoise is a friend we made while staying in Caen. It never ceases to amaze us how people we meet, Francoise included, apologize for their English. Because others know English we are able to converse and learn about each other. After three years of college Spanish nearly a half century ago, I am able to make sense out of some of the French that I read; some also looks a lot like English, but when it comes to the spoken word both Bob and I are lost. (And how we celebrate when we pick out one or two words as we listen to the radio. ) Somehow what comes out of mouths sounds nothing like what we see in print! I often wonder how Europeans must feel when they come to the States where few people speak more than English…and many have a difficult time managing English. But I digress! Francoise asked if we’d like to come to lunch and then we could “walk a bit in the fields.” Of course we said yes. 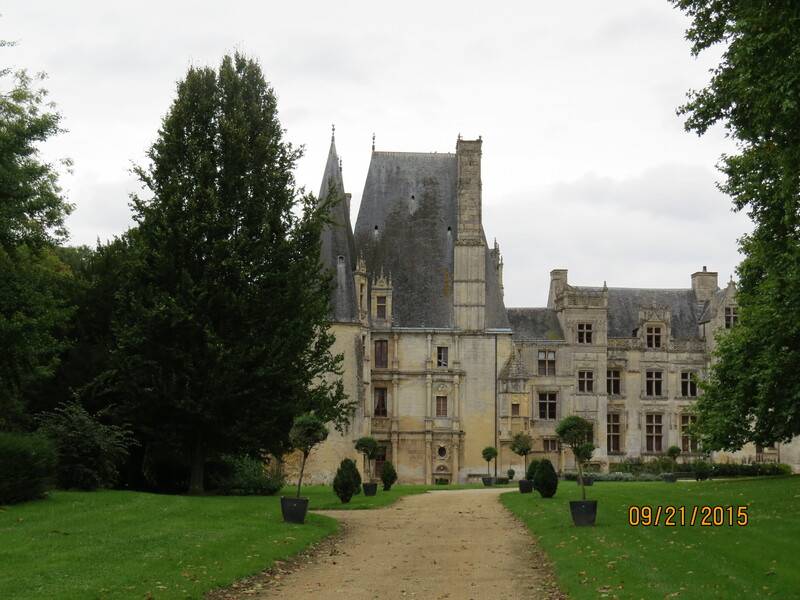 Her home is in a lovely little village not far from Caen but so very different from the city. Rural France has many little villages with narrow winding roads. Family farms are very much the norm and the result is amazing food! Her home was a pleasant 20 minute drive from our apartment. 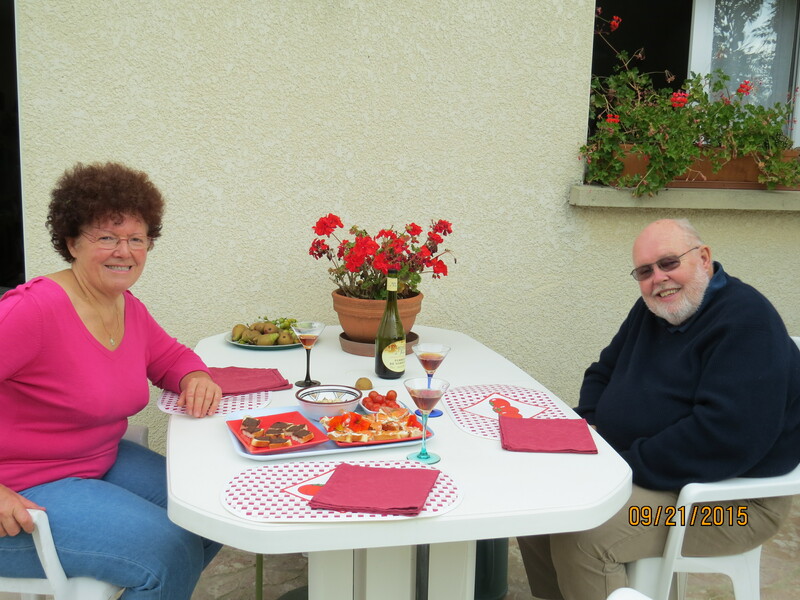 After inviting us to see her garden where she cultivates many plants and veggies including: roses, dahlias, and nasturtiums (which are very tasty in salad), she suggested we eat out on her patio. This little lunch turned out to be a gourmet feast. 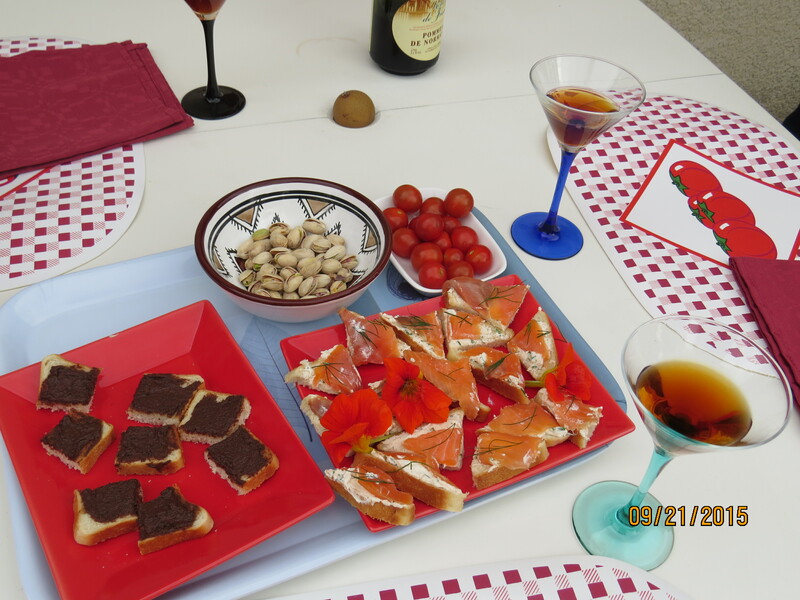 She first served a plate of hors d’oeuvres which included salmon on cream cheese on crackers garnished with parsley, and an olive spread served on amazing French bread; in addition she served prunes wrapped with bacon. This course was followed by a Normandy specialty of a cod-like fish in a cream sauce served with a salad. Just as I was thinking what an amazing lunch this had been, Francoise jumped up to fix the main dish, also a Normandy specialty, veal in a mushroom sauce served with fresh potatoes. For dessert she served homemade applesauce topped with homemade jam. Her lunch was complemented with two wines. We found so much to talk about: the local area, schools, the United States, of which she is very knowledgeable, and our travel plans. It was a delightful time. Shortly after lunch she asked if we might like to take a ride in her car and see some of the local sights. One of our complaints with the GPS is that it’s hard to stay off the bigger auto routes without knowing exactly what cities we want to visit. Just to meander through the countryside is difficult. Not so when you have a local tour guide! There was a light rain in the air but miraculously whenever we got out to walk, the rain stopped! Near Francoise’s home, there is a small cemetery from World War II where both British and German soldiers are buried. What an adventure it was to find it. Francoise knew about where it was located. We drove down a two track and over hill and down dale in an attempt to find it. Finally when a young man approached from the other direction on his motorcycle, Francoise waved him down. Yes, he knew it. No, it wasn’t where we were. Just follow him. So we did and lo and behold within a few short minutes we were at this historic site in the middle of a cornfield. 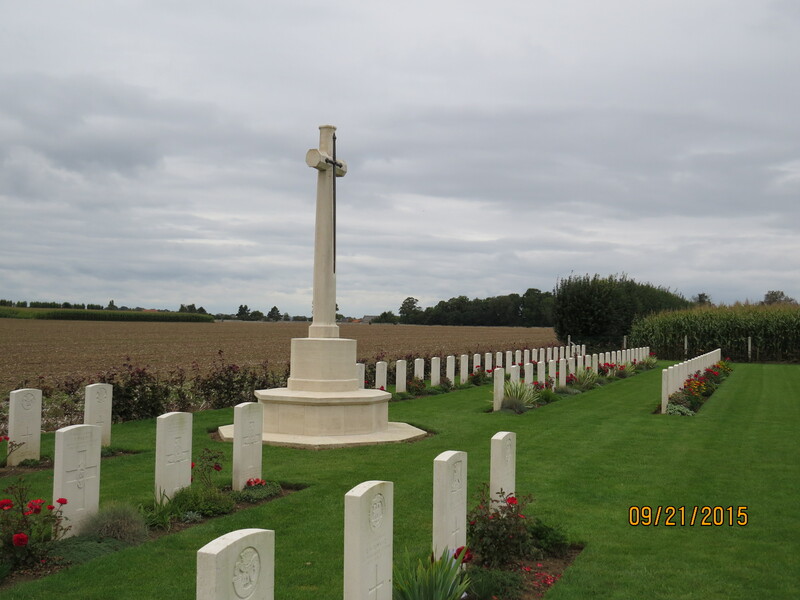 It felt sad…here was a cemetery of men who had sacrificed their lives now lying in the middle of “no where,” a place people wouldn’t come upon unless they knew about it. On the other hand, the loneliness of the location felt so very appropriate. Francoise told us she wanted to show us an old church. Talk about understatement! After driving a short distance, she parked the car and got out walking sticks for all three of us. 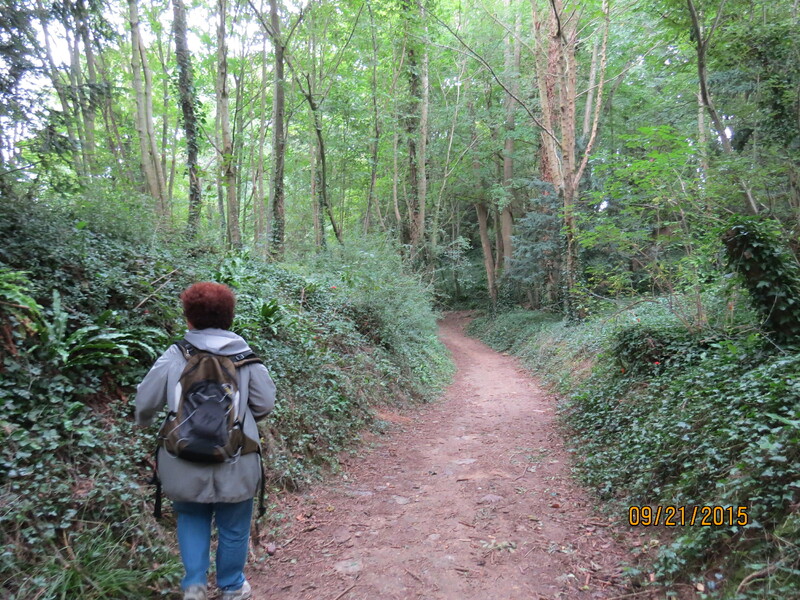 We followed her lead through the woods and hadn’t walked far from the car park when we saw a beautiful stone church in the distance. 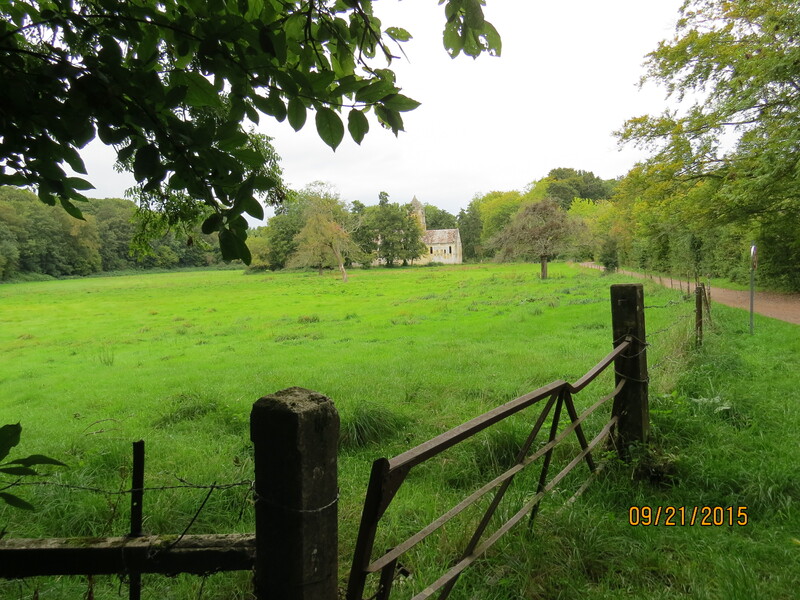 We continued walking down the path, crossed a footbridge over a small stream and came to St. Peter’s Church in Thaon dating from 1050. Absolute silence; it was as if time had stood still. Such a perfect place to think, to meditate, to dream. 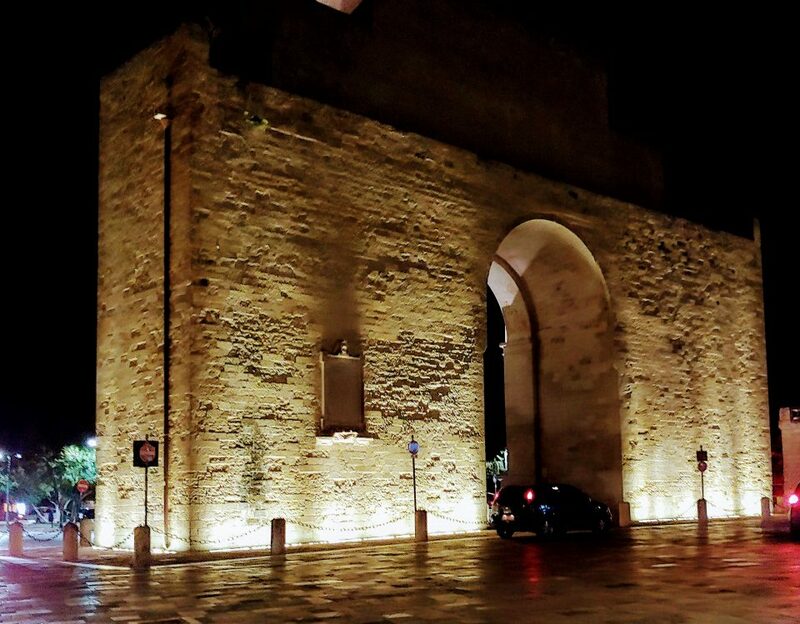 It’s hard to believe so many people live in this area of France and go about their daily lives without giving much thought, if any, to all that has occurred near their homes throughout history, history that dates back hundreds and hundreds even thousands of years. I feel so very lucky that we made a friend who offered to share it all with us on one fabulous afternoon! It was definitely an experience we will NEVER forget.